THE President of the United States is the world's most flamboyant and publicised billionaire. Here's the lowdown on all things Donald Trump. Where did Donald Trump grow up and was his family wealthy? Donald Trump was born on June 14, 1946, and was fourth child of real estate tycoon Fred Trump. The Trump family was wealthy and lived in a mansion in the Queens area of New York. As a 13-year-old, Donald was sent to a military academy after he started misbehaving at school. Now 72, he boasts that he made money "the good old-fashioned way" but he first got into real estate with a "small" $1million loan from his father and helped manage the family's housing portfolio in the New York area. He took control of the company in 1971 and renamed it the Trump Organisation - shifting from residential sales in Brooklyn and Queens to swanky projects in Manhattan. The company transformed the rundown Commodore Hotel into the Grand Hyatt before developing the most famous Trump landmark, the 68-storey … [Read more...] about How old is Donald Trump, what is the US President’s net worth, when did he marry Melania and how many kids does he have? Beyoncé net worth: How much money has Queen B made with Jay Z, Destiny’s Child and her side hustles? As the Weeknd sings in his collaboration with the popstar, Queen B's "stacking money, money everywhere she goes." What is Beyonce's net worth? Beyoncé’s net worth hit $355 million last year, according to Forbes. 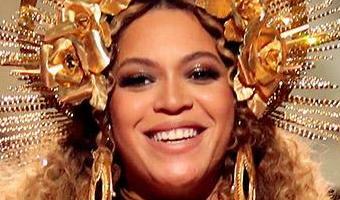 On the business magazine's list of America’s Richest Self-Made Women, Beyonce ranked 53rd. Also on the list was Oprah Winfrey and Facebook CEO Sheryl Sandberg. According to Fortune, Beyonce's husband Jay-Z has a net worth of more than $810 million, bringing the pair's combined net worth to an eye-watering $1.2 billion. Queen B’s money comes from a wide variety of revenue streams, including music, movies, touring, and endorsement deals. Her 2018 was relatively quiet (in Beyonce terms at least) but she still stormed Coachella with a marching band, dropped the Everything Is Love album with Jay-Z in June, and hit the road with her other half for their second On The Run II stadium tour. How much was Beyoncé’s … [Read more...] about Beyoncé net worth: How much money has Queen B made with Jay Z, Destiny’s Child and her side hustles? DEBORAH Meaden is one of the more fiery dragons in the den. The businesswoman is one of the investors waiting to be impressed on the hit BBC show - here is what we know about her... Who is Deborah Meaden, how old is she and what is her background? Deborah Meaden, 59, is a businesswoman and star of Dragons' Den. Born in Somerset, Deborah grew up in Essex before moving back to the West Country. She first got a taste for business when leading paid pony rides along the beach in Minehead at the age of eight. She then left school at 16 and studied at Brighton Technical College, before setting up a glass and ceramics export agency while living in Italy. That venture was unsuccessful so she returned to the UK and bought a textile franchise. Having sold that she went into the retail and leisure industries and even operated Prize Bingo in Minehead. Through the 90s she owned Weststar Holidays and once that had been sold, acquired Fox Brothers, a textile mill, in 2009. In 2011 she launched The … [Read more...] about What is Deborah Meaden’s net worth, how old is the Dragons’ Den star and who is her husband Paul?